Adaptation efforts in Mozambique, organized through the climate department in the Ministry for the Coordination of Environmental Affairs (MICOA), , have been stimulated by NCAP activities as well as the emergence of an improved, effective pre- and post-disaster planning capacity in the reorganized administration of the National Institute for Disaster Management (INGC). For an excellent review of disaster management before the reorganization of the INGC, see Christie and Hanlon (2002). A wide range of issues have been covered with substantial production of policy papers. Distribution of these papers initially only occurred within government offices rather than reaching a wider range of concerned stakeholders such as local authorities and NGOs. The first national communication to UNFCCC was posted in 2006, with support from NCAP, and there is active debate on what the second national communication should contain based on the adaptation work described in this chapter. To consolidate the link with the INGC, there has been a series of provincial level disaster planning seminars under the joint ownership of the MICOA and the INGC. The NCAP program began with an overview of the capacity to respond to natural disasters in Mozambique (Abdula and Taela, 2005). The conclusion of this first study was the need to build local resilience capacity at community level based on existing experience. Moving up the scale, there was need for sector planning, especially agriculture and water, to incorporate a level of risk calculation. At national level, there was a need to integrate climate adaptation issues into pre-disaster planning. From local to national level, all of this had to be done by focusing on the groups who were most vulnerable to climate risk. There was also a need to organize the government and NGOs into effective pre-disaster planning. Parallel to this review of capacity was a review of climate induced disasters from 1999 to 2005 (MICOA, 2006). This focused on exploring positive experience which could be used for the future. 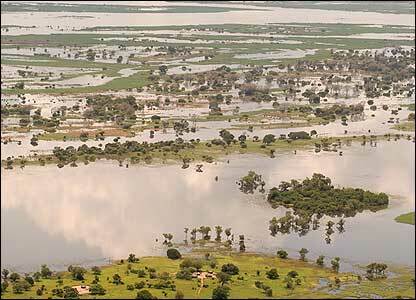 It reviewed the role of various agencies focusing particularly on the south and central region of Mozambique, the area most affected by tropical cyclones. It recognized that vulnerability was closely tied to economic capacity. The paper captured the changes in the INGC which has central responsibility for pre and post disaster planning. It recognized that there was need to use global warning systems, including FEWSNET. At provincial level, it was argued that pre-disaster planning was needed by joint exercises between MICOA and INGC building on the positive experience in the Buzi locality and Sofala province.